Normally it doesn’t matter what else is happening in Washington DC sports – the Washington Redskins are typically the main event. If most of you are just tuning in today this Thursday June 7th to help pass the time before the puck drops in Las Vegas tonight as the Washington Capitals look to become the first team in 25 years to bring a major league championship home to DC, that’s fine by everyone here at RCC! For those of you who are still interested in Redskins news today however, we’ve got a great show for you! Hosts Chad Ryan and Mark Phillips are again joined by RCC’s own Robbie Duncan, and together they first recap a little bit of what we’ve learned from OTAs this week, and then they continue the series that began last week looking at position groups going into training camp. 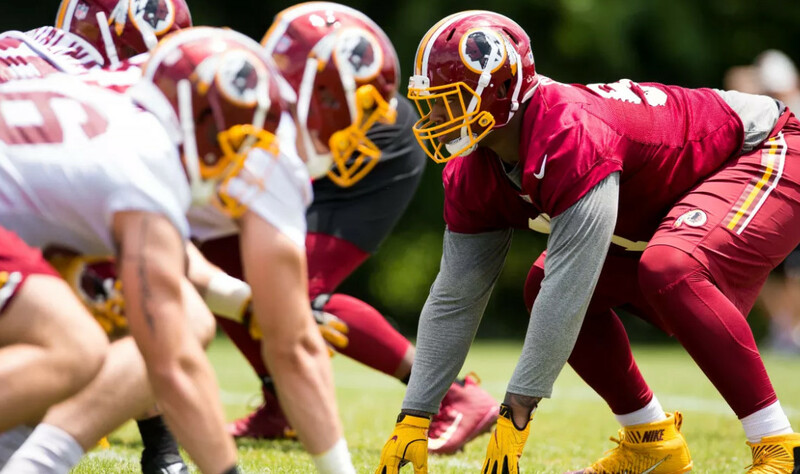 Last week we looked at the Linebackers and Defensive Backs, and this week we’re going in to the trenches; it’s the Defensive Line and the Offensive Line. As always, thanks for listening, please help us spread the word by telling your other Redskins friends and family to tune in, and don’t forget to leave us a nice rating/review on the platform you listen to us through!